This is a noob IM here where i just finish IM course with Shaun and Vince seminar. At this moment we are having a a team challenge of a firesale, we are seeking your help to boost our sales. To be frank at this moment we have not even 1 sale yet, and our team is very down and exhausted. Your geart help would be very much appresicted by our team members. oh by the way we have affiliate link as well for thoes whom wish to help us in promoting the side and earn money from it. Please don't treat me as a spam as i'm a beginner here whom wish to cheer our team in this challenge. I pmormiss you your assistant would be a great motivation for us all. Lastly i would like to thank you again for your time and assistant given to us. Join in and write your own page! It's easy to do. How? 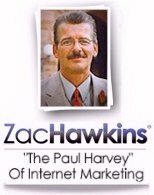 Simply click here to return to Network Marketing.